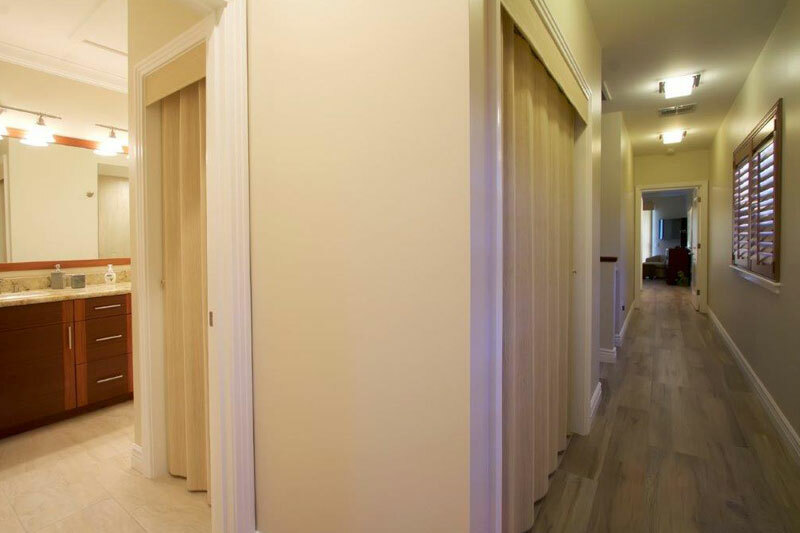 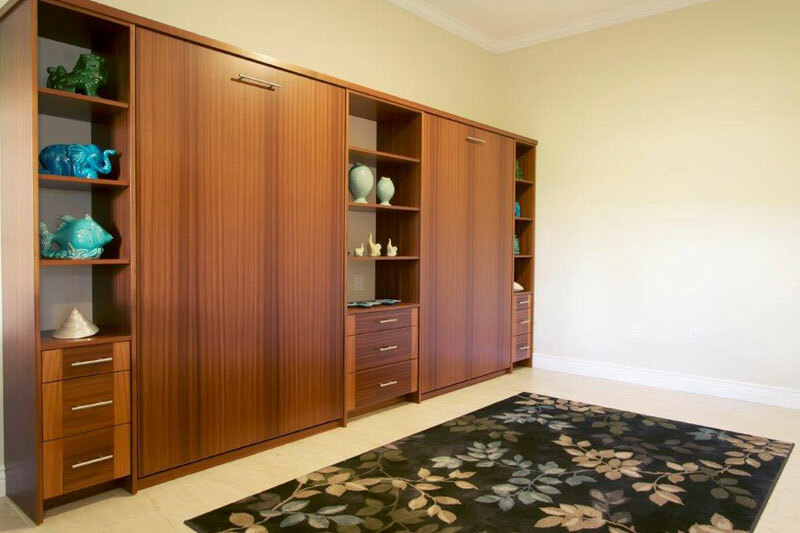 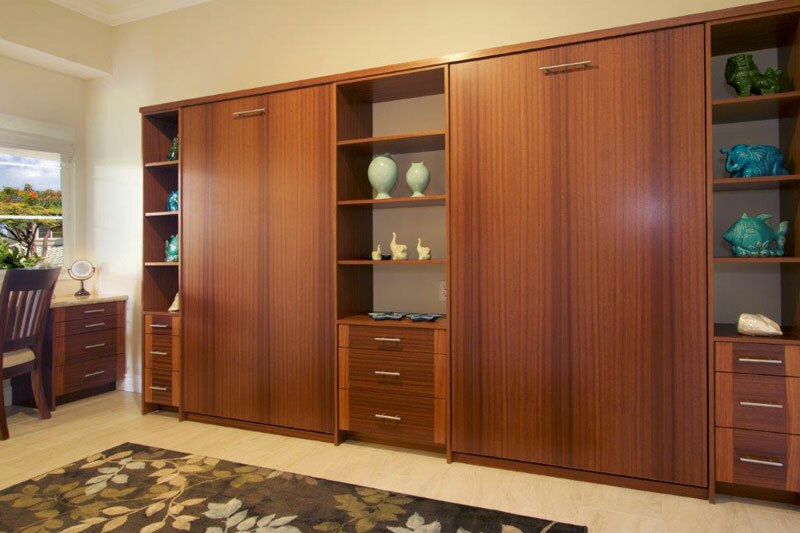 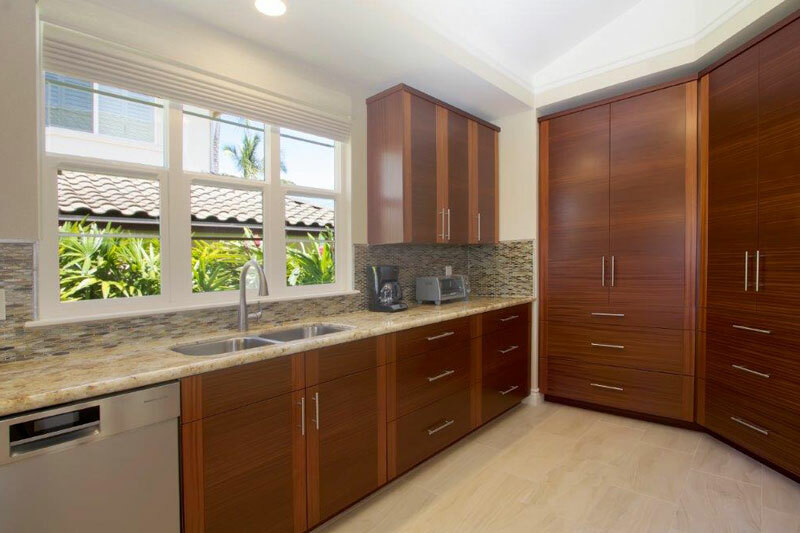 Gorgeous “Sapele Wood” custom cabinets in the kitchen, baths, stairway, banister and matching Murphy Bed and desk in the den. 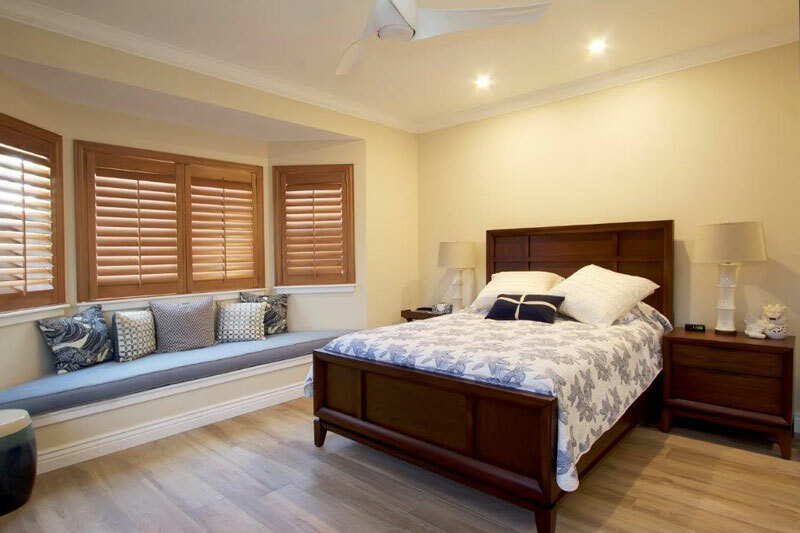 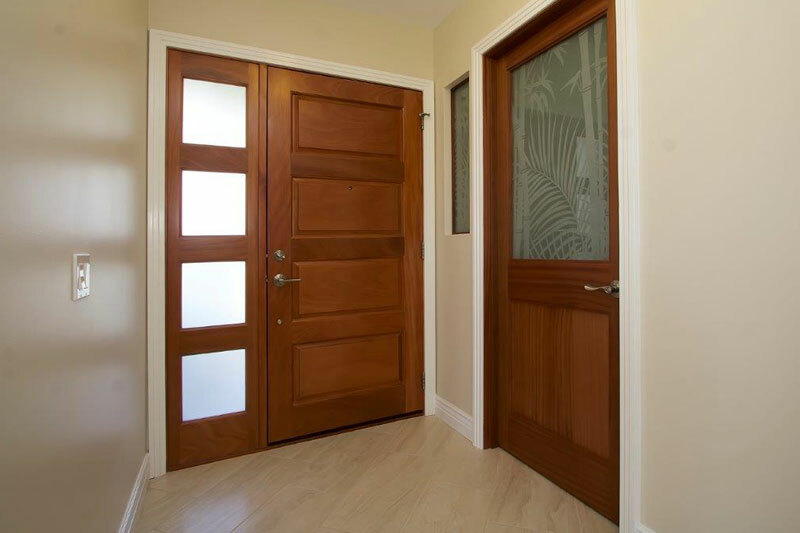 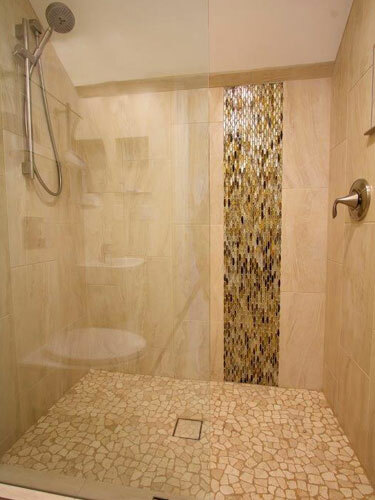 Porcelain tile floors that include the “wood plank” style on the upper flooring. 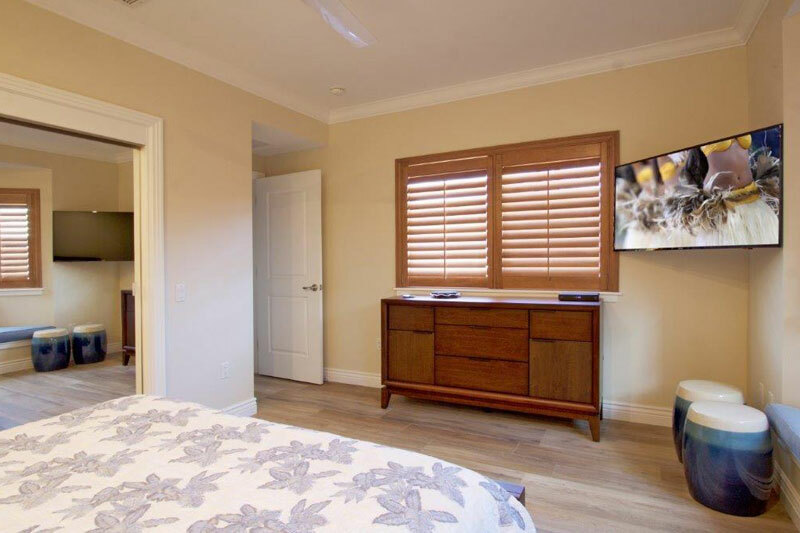 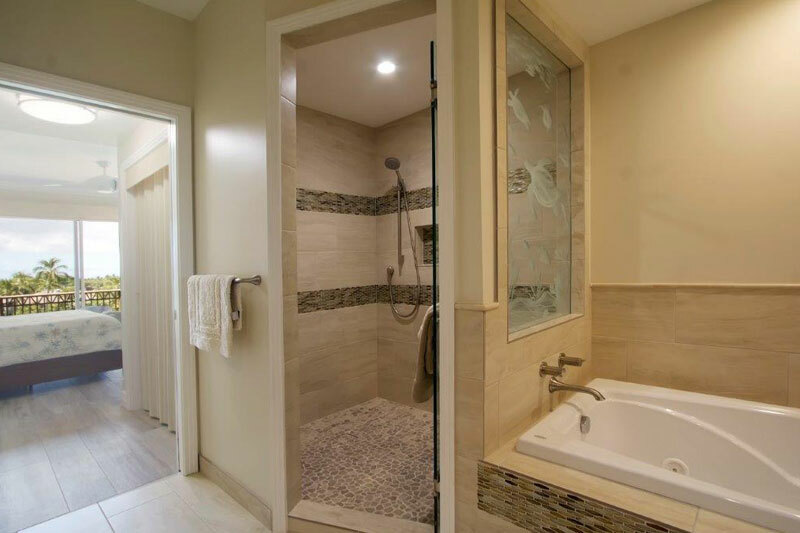 A very special feature is the transformation of the small lower ½ bath into a full sized bath with a spacious shower allowing full benefits to those using the Den as a bedroom. 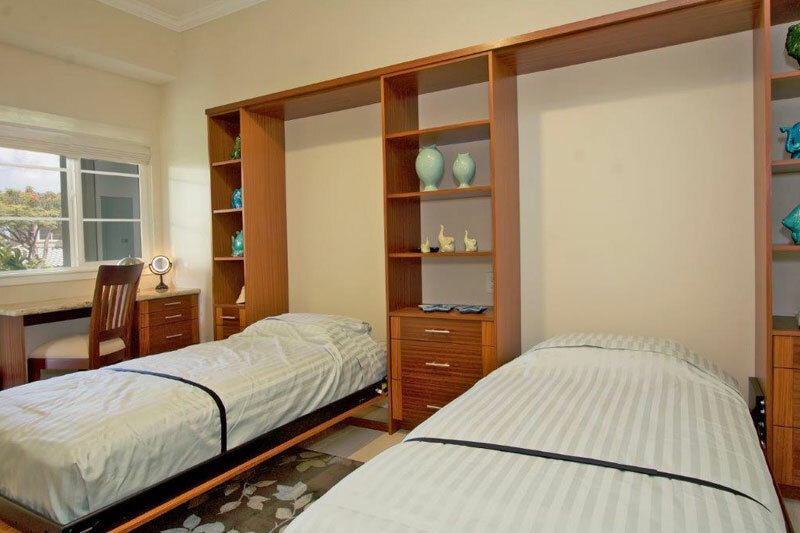 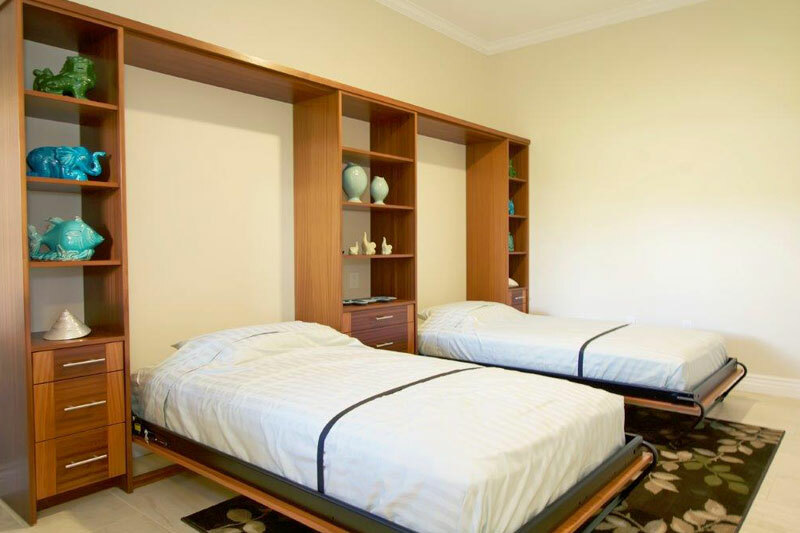 The Den is now an optional bedroom with the custom Murphy bed and desk. 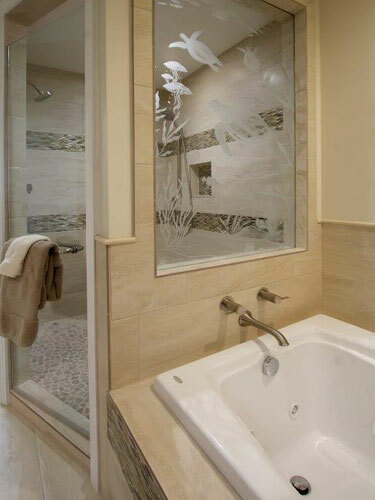 The Master bath received a major facelift. 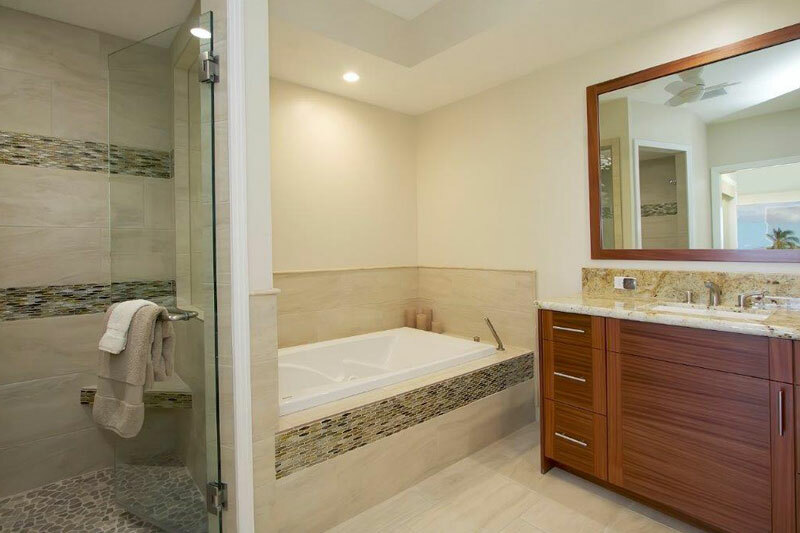 The useless old tub was replaced with a large Multi-Jet soaker and was moved to a more convenient location. 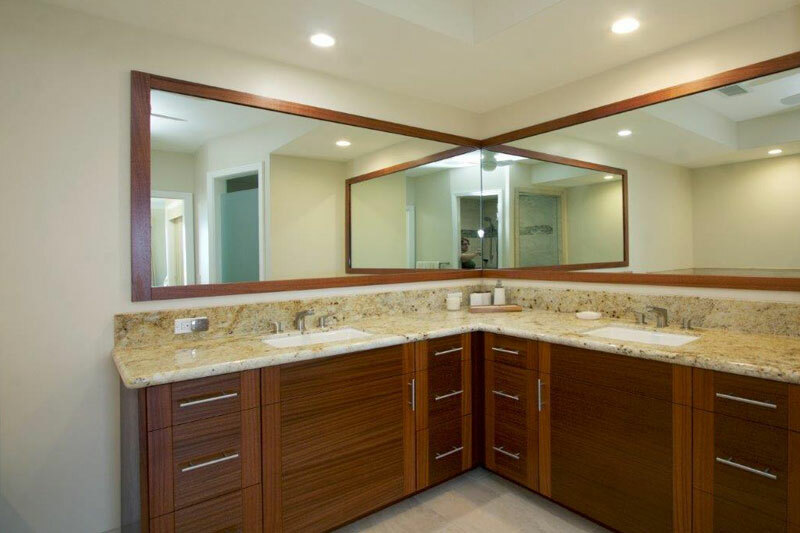 This gave room to convert the vanity into an “L” shape with double sinks, large framed mirrors, improved lighting and a small ceiling fan. 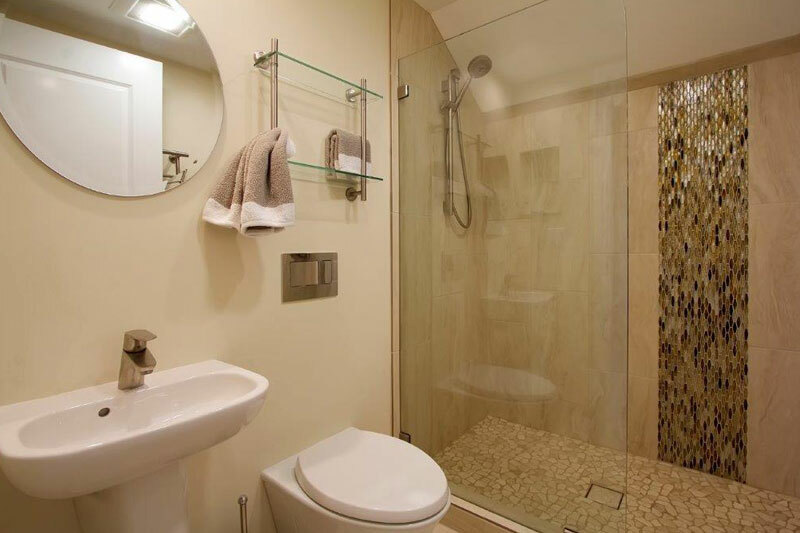 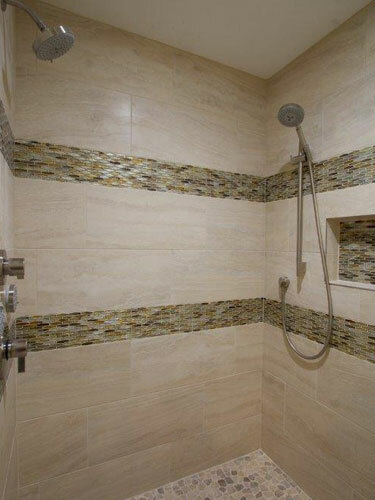 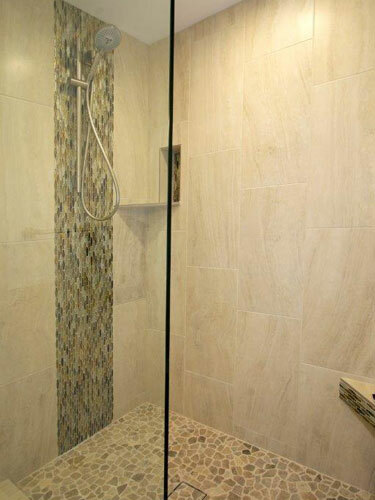 The shower was also expanded and multiple jets comfort the user. 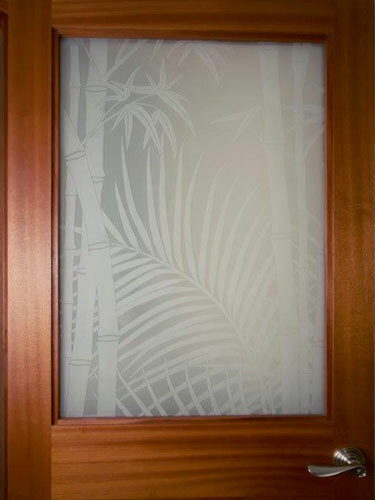 An artist custom etched part of the glass enclosure. 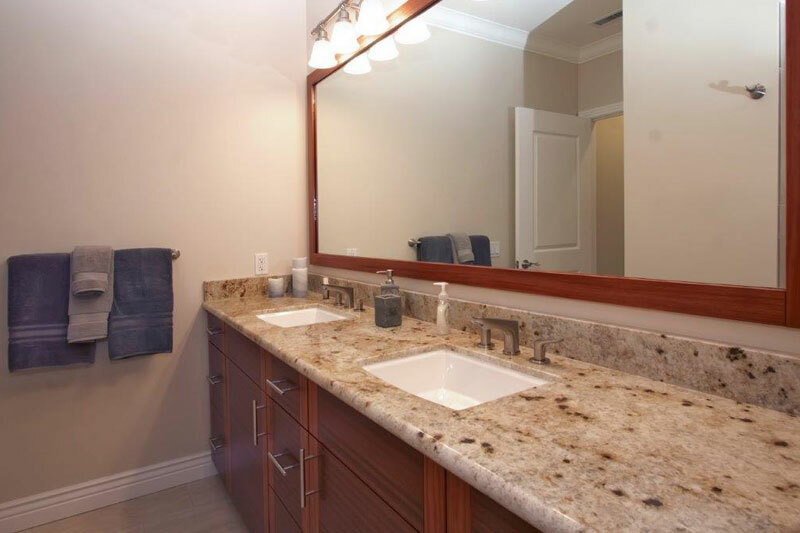 The Guest bath was also completely renovated with new cabinets, counters, mirrors, and special tile applications. 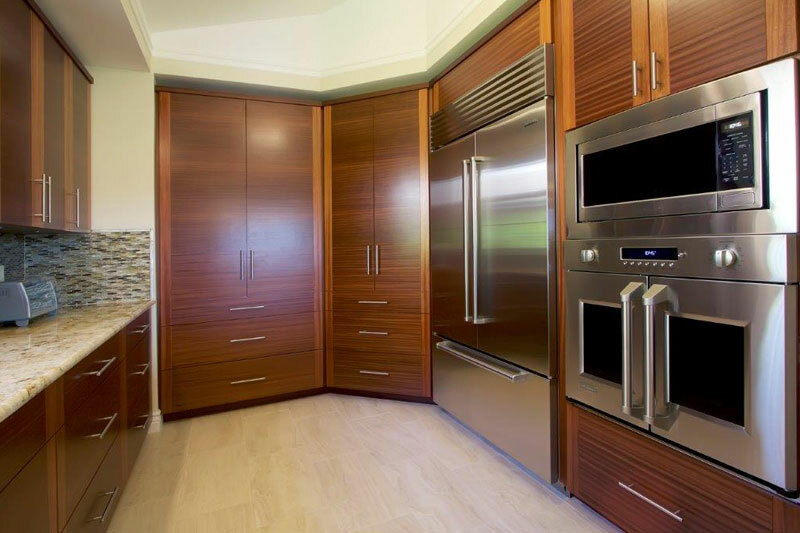 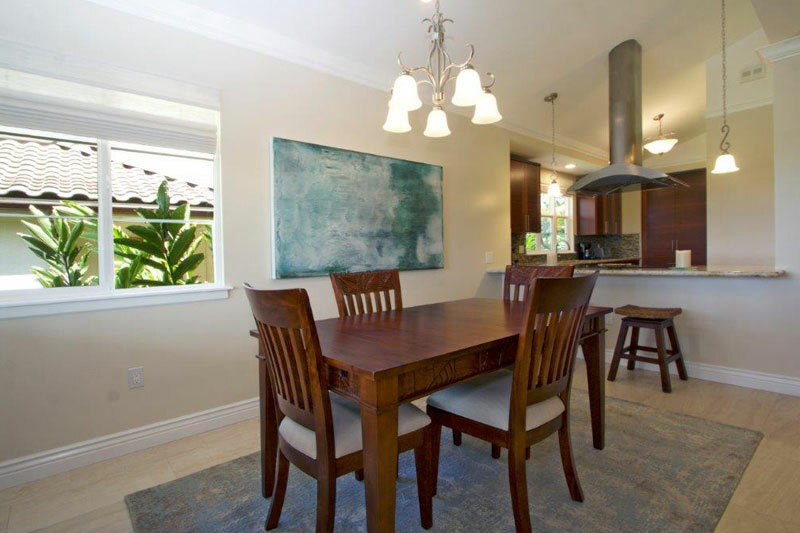 The kitchen received a major uplift with enlarged custom cabinets with magnificent “Sapele” wood that compliments the impressive granite counters. 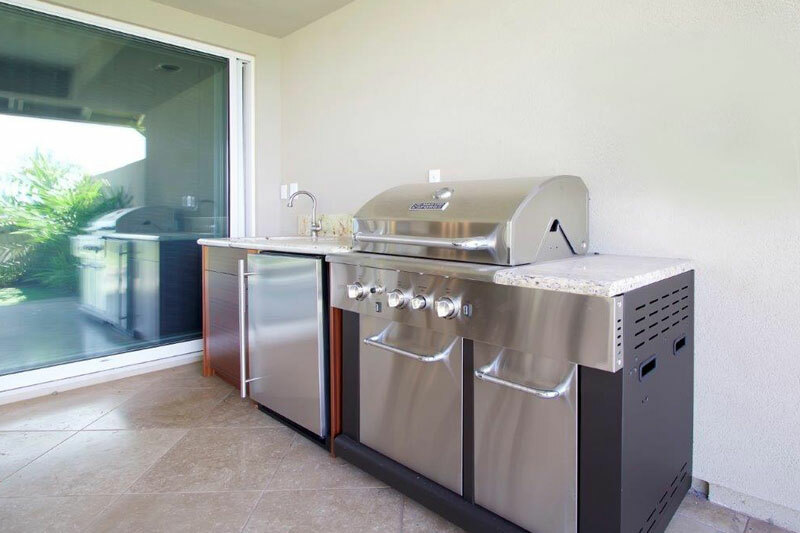 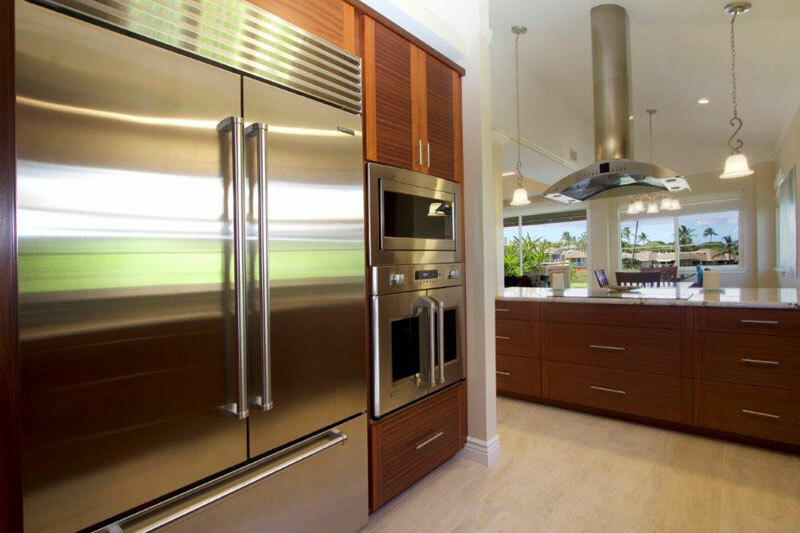 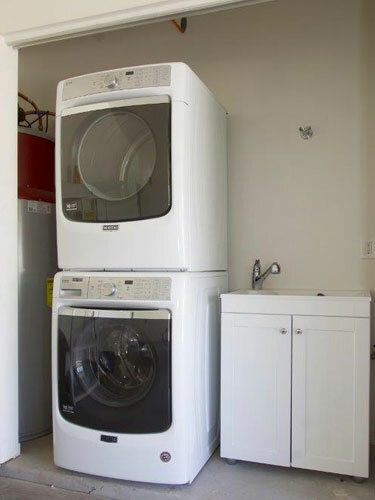 The new stainless steel appliances include a Dutch door style oven for ease of use. 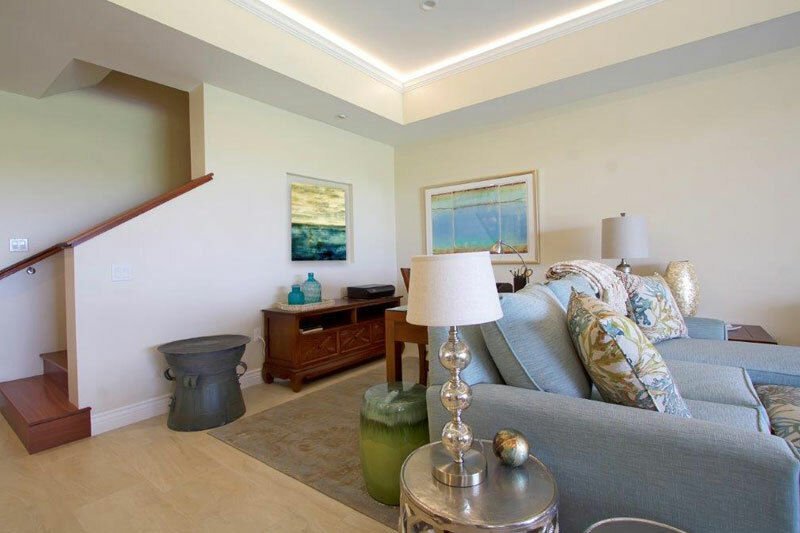 The mood lighting in the kitchen and living area includes LED lighting above and below the cabinets and under new crown molding in the living room and all on dimmers. 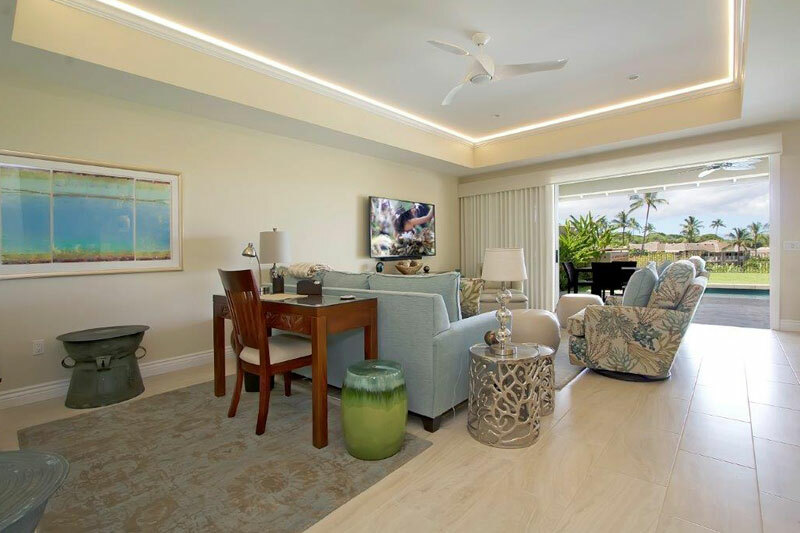 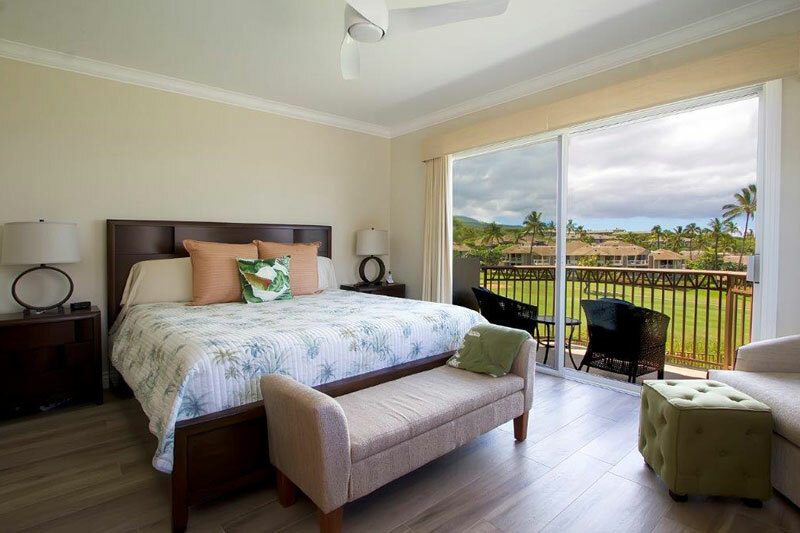 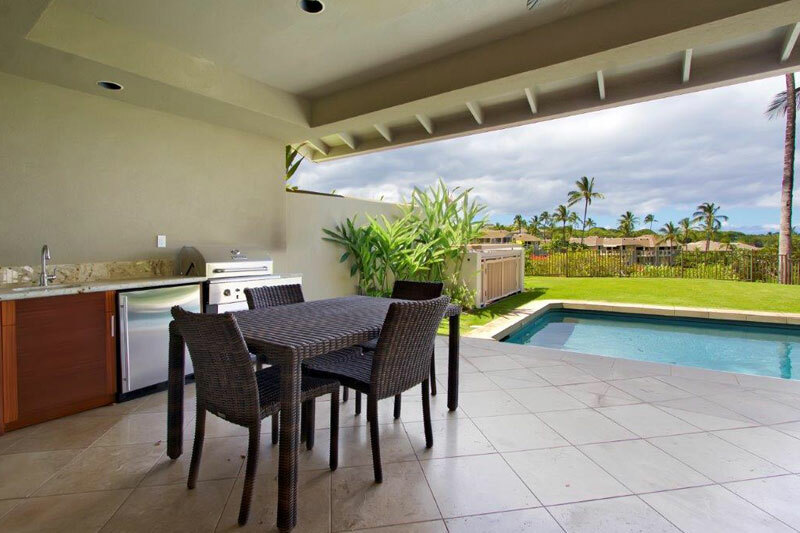 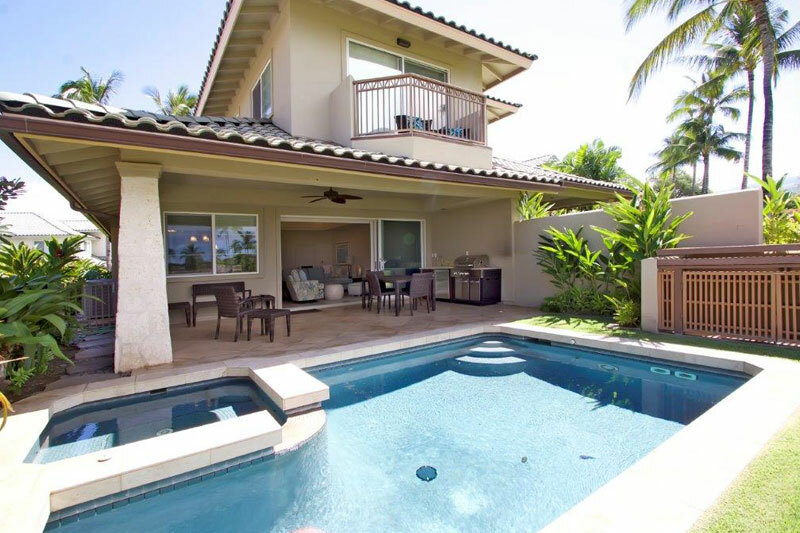 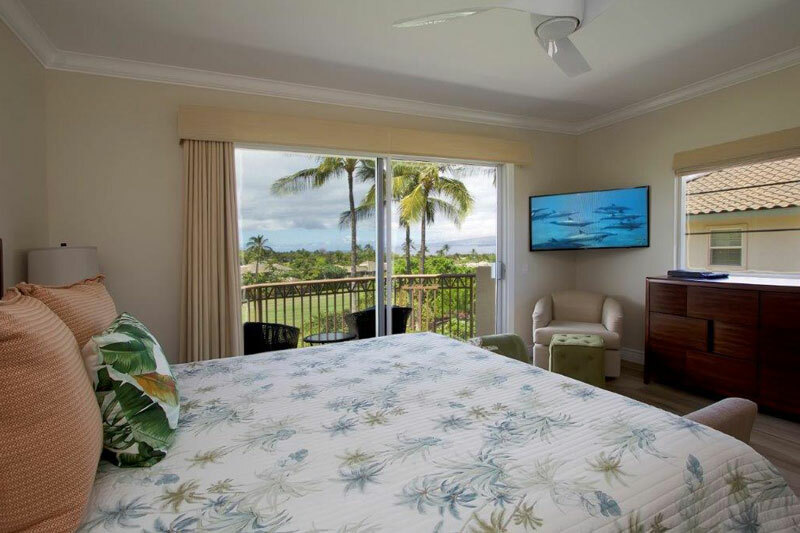 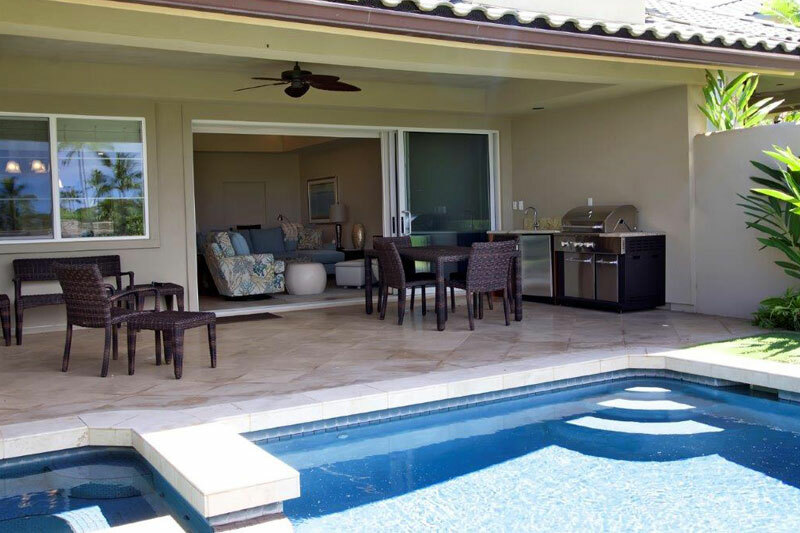 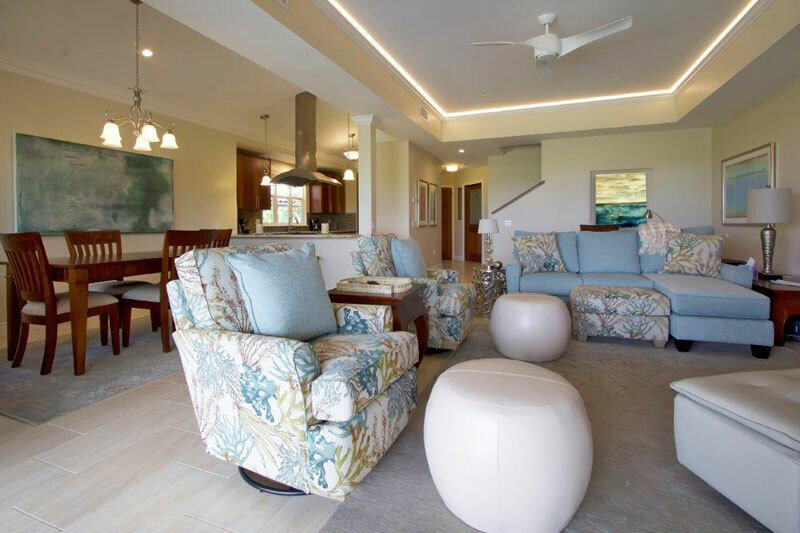 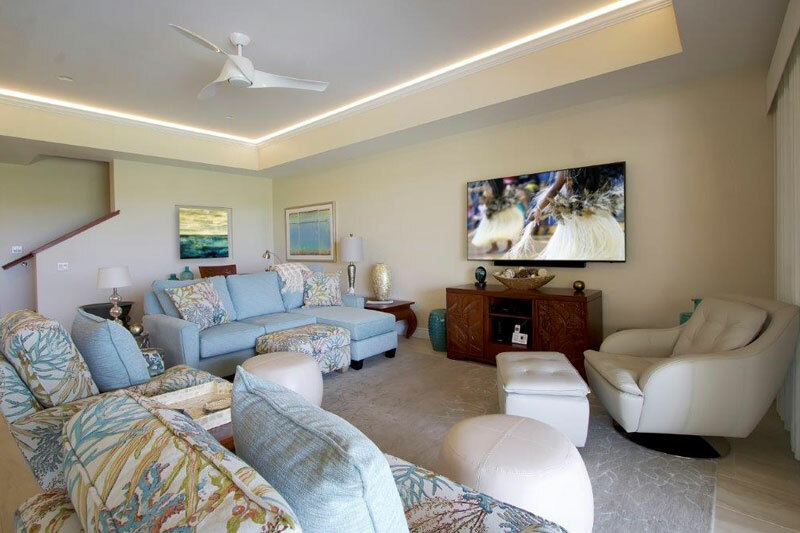 Kai Malu is one of Wailea’s most revered World Class Communities and we feel honored to have been given the ability to transform the original unit into the finest of the finest..